Looks Like It's Going To Be A White Christmas. 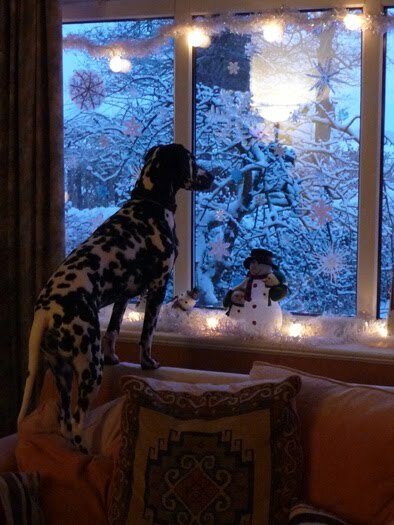 About this time last year we took in a rescue Dalmatian. Having lost Smugde (also a Dalmatian) to old age a few months before, we came across Tara on a website for dogs looking for new homes. Well, she settled in pretty quickly and is nothing like our previous dogs, not that we expected her to be. I thought I'd share this photo taken of her last winter and wish everybody a Merry Christmas and all the best for 2011.